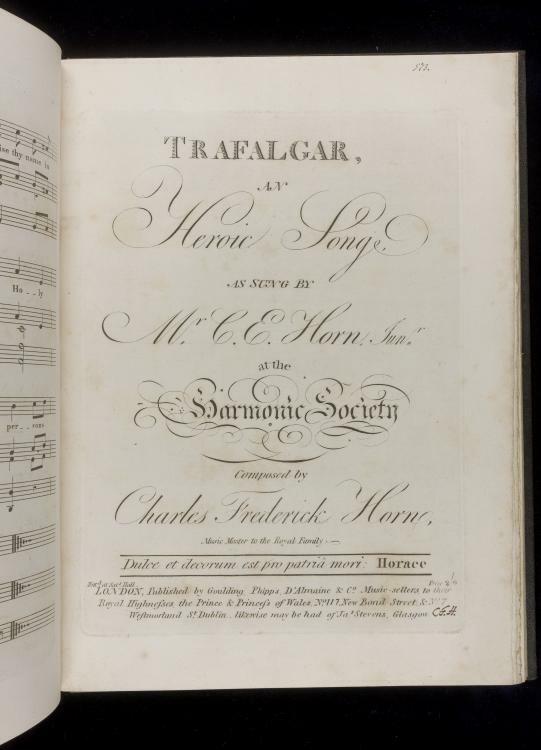 Horn’s song in tribute to Admiral Nelson and his victory at Trafalgar is on a text by Sir William Blizard, surgeon and founder of the London Hospital medical school, and is dedicated to merchant and financier Abraham Goldsmid. The song was performed by Horn’s son, composer and singer Charles Edward Horn (1786–1849). Charles Edward Horn later lived in New York and Boston, where he composed, produced operas, and worked in music publishing during the 1830s and 1840s.